Contemporary art, continued Unless you regularly trawl the Chelsea galleries, hang out at the Tate Modern, peruse the Pompidou, attend every Biennale, and religiously read Artforum, you could probably use a primer on the art scene in the world today. Fortunately we?ve created our second Art Now volume to keep art fans abreast of the latest trends and hottest names. 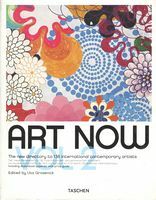 Featuring over 130 artists in A-Z entries with biographical information and exhibition history as well as images of important recent work?plus a bonus illustrated index of current auction prices?Art Now II is the guide to what?s happening and who?s who in contemporary art. Uta Grosenick has worked at the Deichtorhallen in Hamburg and the Bundeskunsthalle in Bonn, and was curator at the Kunstmuseum Wolfsburg. Since 1996, she has been working as freelance editor and organizer of exhibitions. 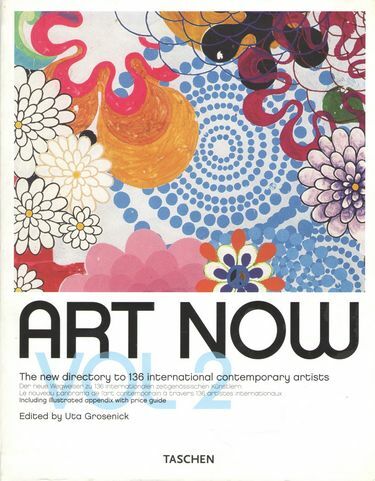 Her publications include TASCHEN?s Art at the Turn of the Millennium, Art Now, and Women Artists.